Character. Points: 13/17. Health: 11. 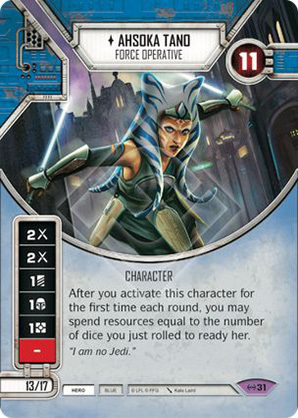 After you activate this character for the first time each round, you may spend resources equal to the number of dice you just rolled to ready her.